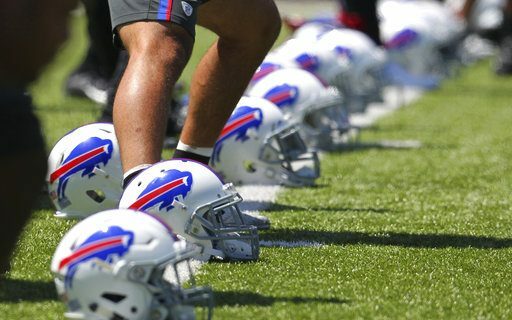 The Bills have 10 players on their practice squad. They practice with the team, but are not allowed to dress for games unless they are promoted to the roster. Sports comedian Jeff Wozer has discovered the biggest complaints of those practice squad players. • Must spend home games in Pegula’s owners box bussing tables. • Limited to three complimentary Gatorade drink vouchers per practice. • Must feign exuberance when buying school raffle tickets from GM Brandon Beane’s kids. • Forced to work as Steve Tasker’s stunt double in West Herr Ford commercials. • On road games Kim Pegula always ask you to housesit their dog. • You’re the first one the guy in the Billy Buffalo mascot costume calls if he needs a sub. • Buffalo Common Council committee members don’t take your input on Outer Harbor development plans seriously. • Parents always e-mailing reminders that the post office is looking for holiday help. • Not given access to practice facility’s WiFi password. • Terry Pegula sets team’s Secret Santa gift price minimum at 1 million dollars. For more humorous takes on Buffalo sports, visit Jeff’s Authors page at Buffalo Sports Page.com.